If your company is in a renewal cycle for a Software Contract, Enterprise Agreement or is perhaps you are looking at moving into a new contract for software licensing or cloud services with the likes of Microsoft, Oracle, IBM among others, you have come to the right place. *It is important to note that MetrixData 360 does not partner with any software publishers. Software resellers, and LAR’s (Large Area Resellers) generally partner with software publishers. We feel that this creates a conflict of interest. What motivation does a reseller have to get your company the best deal, when they profit from selling you the software licensing. MetrixData 360’s only goal in a contract negotiation is to save our clients the most money possible, while getting them what they need both up front and throughout the period of the software contract and to preserve and grow your company’s relationship with the software publisher as a strategic partner to your business. MetrixData 360 recommends that you start the renewal process 7-9 months prior to the actual renewal. Taking the time to assess your footprint for the software publisher as a whole takes time. Understanding consumption rates for software licensing as well as things like maintenance or software assurance you may have been paying for years may have you paying much more for software than is required. 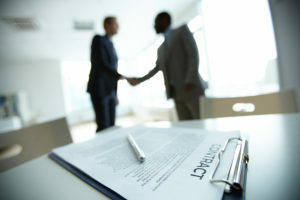 In a Software contract renewal, we see many times that the entire negotiation is left up to the procurement team. While many procurement professionals are great at negotiating a bottom line discount, what is important to them in a renewal negotiation is totally different than what is important to legal, or even IT. Having someone that can speak to and ensure that all of the needs of the different divisions in a company are considered when moving into a negotiation is key. 3. Understanding the difference between what you need, what you don’t need, and what is simply programmatic sales campaigns from the software publisher. Many times, in software contract negotiations, understanding what you don’t need can be more important than knowing what you do need. Every renewal cycle brings out the sales teams from software companies telling you what your business needs and really can’t do without and if you don’t jump on board, your organization will be left behind. We’ve all seen it with the push to cloud based applications. What many organizations fail to do is ask the simple question, what is the return on investment to my business. MetrixData 360 would recommend that you actually go one step further and ask… do you know what my company actually does. In almost every case software sales teams don’t know. They are only trained to sell you the latest offerings. The ones that equal compensation for them. Understanding this and not falling prey to programmatic sales tactics can save your organization a lot of money. 4. Assign and maintain a single point of contact for the software publisher to communicate with your organization throughout the negotiation. Because these software vendors are strategic partners in your business, many times they have different resources working closely with different parts of your business to explore or implement their technology. When it comes time for a software contract renewal negotiation, that internal contact needs to be limited and if possible shut down entirely for the term of the negotiation. Communication should only happen via the designated point of contact. It should be treated no different than an RFP. Make no mistake, the publisher sales teams are discussing all potential avenues to upsell and tie their renewal proposals to initiatives that they are all working on. We recommend sending an internal period that spells out a blackout period. Any on site activities with publisher resources need to be approved through the single point of contact so as not to compromise your organizations position in the negotiation. 5. Finally, Hire software publisher specific experts. Here at MetrixData 360, we conducted extensive searches to find the most qualified resources with the deepest knowledge on each vendor. It spans far beyond just the software licensing aspect. In addition to unparalleled knowledge of the software licensing for each vendor, MetrixData 360’s resources also have deep understanding of the culture within the specific vendor as a company. They understand the way that sales teams are compensated, the metrics on which compensation is based. Let’s face it, Compensation dictates behavior. Our analysts also understand the right path of escalation for specific requests and how to position those escalations so that they can be accepted and approved. It’s important to remember that while you deal with negotiating a vendor specific contract once every 3 to 5 years depending on the vendor. This is all we do every day all year long. Bringing skilled experts with the experience of countless negotiations under their belts is a huge step in getting your organization the best deal possible in a software contract renewal negotiation.